If all available licenses have been used, and you log in to DriveWorks in a browser as an Administrator then you will be logged into an Admin only session. An Admin only session will give you the ability to end user sessions in order to free up licenses. In the Web Theme, this means that only the setup page will be accessible. In the App Theme, this means that only the Session Management section will be accessible. If you are in an Admin only session then you will need to log out and back in again to return to a normal session with access to all of the theme's functionality. The new skins are fully responsive to the resolution it is being displayed on. Navigation and Project tiles automatically adjust according to the available screen width. All modern devices (desktops, tablets and phones) and platforms are fully supported. The Contemporary skin features white tiles on a light background, a blurred image provides the background. 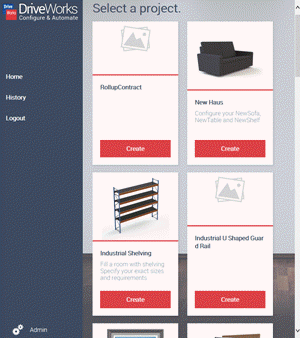 The Project tiles scroll under the main header. Navigation is in the form of a dedicated menu bar underneath the header and is fully responsive. On smaller devices it collapses to a toggle button. Project tiles display the Project Name and the Project Description. Hovering over the tile will highlight the Project Name. The Corporate skin primarily uses cards to display information. The Navigation bar remains static on the left of the screen and can be used to navigate between the different pages in the Skin. The navigation bar is fully responsive and will collapse to show only navigation images on smaller devices. 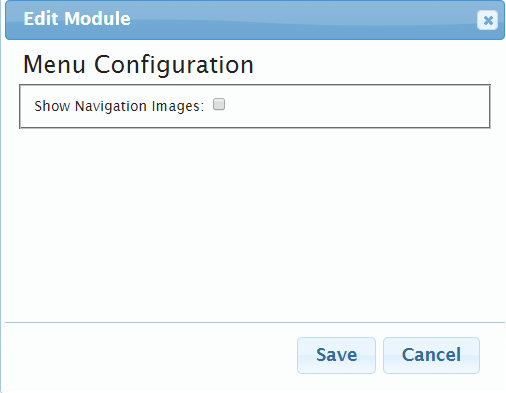 The menu module setting Show Navigation Images must be turned on, in order for the images to be displayed. Project cards display the Project Name and the Project Description. The Project Image is also displayed. Font sizes and Project Image are maintained for all resolutions. Open Browser button in DriveWorks Live launches the default web browser. Clicking the arrow will open a drop down with a list of host names that the site can be browsed from. Clicking one of these will also launch the default web browser. Each entry in the list is a different way to browse to your machine, either using your machine name or any available ip address. This will include your IPv4 IP address as well as your IPv6 address if your network card supports it. This will also show entries for each network connection that you have. 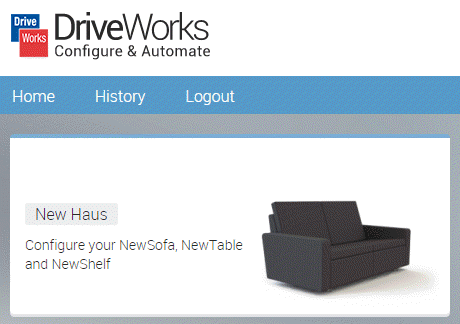 A new setting has been added to the Menu module in the Web Theme in DriveWorks Live. 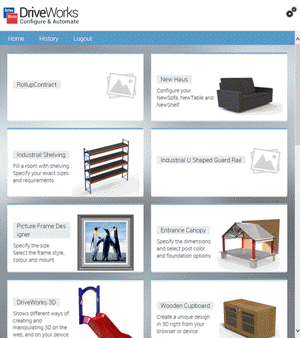 It allows images to be displayed next to each of the items in the menu module. When the login screen has loaded, log in to the group as an Administrator. Click either the image or the text that allows you to switch into edit mode. This will be different depending on the active Skin. Some Skins will have the text 'Viewing (switch)' and others will have a cog image that can be clicked. This will switch the Skin into edit mode. Click the Edit link on the menu module. The configuration dialog will be displayed. Check the checkbox to show navigation images. Click Save on the dialog to confirm the changes to that module. Click Save Changes at the top of the page to confirm the changes for the page. This setting will only be applied to the module on that page. If you edited the home page then navigation images will only be displayed on the menu module that is on the home page. The menu module that is visible by default, on the History page, will not have had this setting applied and you will need to follow the steps above to activate navigation images on the menu module for this page too. The images used for the navigation can be found in the \Live\Themes\Web\content\system\images\menu folder.